Open-Tran.eu is a searchable database of strings taken from several open-source applications and operating systems. 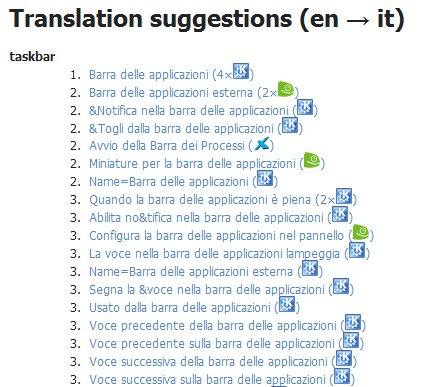 This is a great idea for translators who are localizing open.source content. The system can also work as a reference for those hard-to-translate software terms, as the sources the strings originate from are pretty reliable.